The Premier League table should be a reasonably accurate barometer by this stage of the season but Southampton are better than their tally of 24 points from 21 games shows and can end a four-match top-flight losing sequence by defeating Leicester at the St Mary’s Stadium. Saints have an EFL Cup semi-final second leg at Liverpool on Wednesday but if any minds were drifting towards Anfield they are likely to have been refocused by events on Merseyside yesterday where Swansea registered a shock 3-2 victory. The Swans’ victory lifted them to within six points of Southampton and that should concern Saints boss Claude Puel, who takes his team to south Wales later this month. 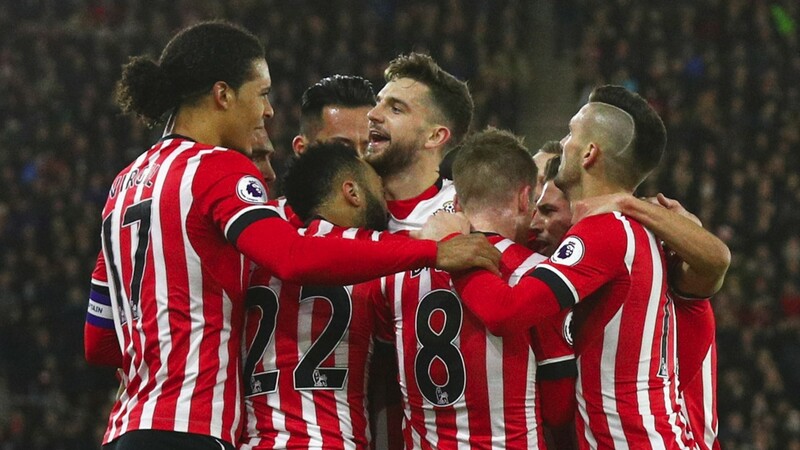 It is amazing to see Saints drifting so close to the relegation zone because they are capable of mixing it with the top teams in the league and did so this month by defeating Liverpool 1-0 in the home leg of their EFL Cup tie. However, they have struggled to cope with the demands of Europa League and cup football. Southampton have played six European games and six domestic cup ties this season and their squad – often supplemented by academy graduates – has not quite stood up to the challenge. Like the majority of top-flight teams they rely heavily on key players but Puel is likely to select a strong side against the Foxes, who have the second worst away record in the league. Leicester are 22 points worse off than at the same stage of last season and look nothing like the group who won the title. Losing N’Golo Kante was a huge blow but the players who have stayed bear most responsibility for the drop in standards. Jamie Vardy and Riyad Mahrez look shadows of their former selves and the Foxes have kept only five clean sheets in the league. The Africa Cup of Nations has weakened them further by removing Mahrez, Islam Slimani and Daniel Amartey from contention and Leicester were swept aside 3-0 by leaders Chelsea last weekend. Claudio Ranieri tried to match Chelsea’s three-man defence but his tactic backfired by taking Leicester even further away from what they did well last season. A return to a back four looks likely but it may not be enough to restore the Foxes to the well-organised, combative, dangerous side they were in 2015-16. Less than nine months on from their title triumph they have become too easy to play against and are likely to suffer another defeat against a refocused Southampton. Jose Fonte was sold to West Ham this week but defensive regulars Virgil van Dijk and Ryan Bertrand should return after sitting out the 1-0 FA Cup win at home to Norwich. Riyad Mahrez, Islam Slimani and Daniel Amartey are at the Africa Cup of Nations and Leonardo Ulloa (thigh) is out.